What is the end sought? Plainly . . . a little conversation, high, clear, and spiritual! The truth we seek is a conversation. Our living conversation with Nature, Craft and Thought has reached over a million people in a hundred nations. 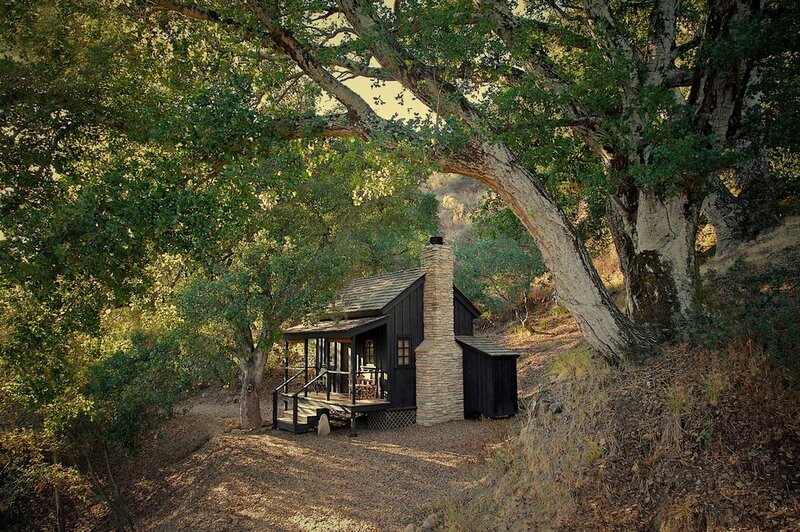 All begins with a solitary cabin in the woods and a circle of generous friends who voluntarily give their time, counsel, resources and example to the vision of a practical idealism renewed at its roots. 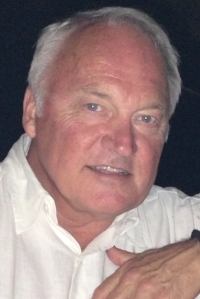 Mr. John Gillis lives in San Diego and serves the Foundation as Chairman of the Board of Directors. He is principal and co-founder of Vision Systems, an industry leader in the design, engineering, development, fabrication and installation of specialized architectural systems for clients ranging from museums and municipalities, to commercial organizations, to hospitals and universities, to the United States Department of Defense. His purpose for the Foundation lies in its power to preserve and reinvigorate the inmost core of American culture for present and future generations. Mr. Edmond Krafchow lives in Maui and serves the Foundation as Chairman of the Advisory Council. Mr. Krafchow is principal and Chairman of Mason McDuffie Real Estate, the longest established privately held real estate concern in the American West, and historic patron of Ansel Adams and the Sierra Club. A lifelong student of ancient Middle Eastern languages and religious culture, he has been an intimate of the Innermost House experiment since 2005, and has a deep understanding of its promise and its challenges. He guides the Foundation at the spiritual margins of practical possibility. Miguel Gómez-Ibáñez lives in Middlesex County, Massachusetts, and serves the Foundation as Director. Mr. Gómez-Ibáñez is President Emeritus of North Bennet Street School in Boston, the oldest and most distinguished college of fine hand craft in America, featuring career programs in craft trades from fine bookbinding to furniture making to jewelry art to piano and violin building. Himself a distinguished architect and furniture maker, Mr. Gómez-Ibáñez is a national leader in the movement to renew the future of fine artisanship in the modern world, a central purpose of the Foundation. Dr. Ronald Kraft lives in Napa, California and serves the foundation as Director. Dr. Kraft is president of Napa Valley College, the central educational institution in the California wine country, a national center for viticultural studies, and home to the renowned Napa Valley Writer's Conference. A distinguished teacher of teachers, Dr. Kraft is a poet, author, speaker, and consultant to other colleges on institutional systems and leadership mechanisms that create momentum for productive change. He guides the Foundation across the broad field of material and intellectual culture in relation to "Place." Ms. Melinda Levin lives in Denton, Texas, and serves the Foundation as Director. Ms. Levin is Professor of Documentary Media at the University of North Texas and CEO/Founder of HD, a Mobile App/Web Interface. She has served the U.S. Department of State as an Artist Ambassador to Asia, and is the director, producer and cinematographer of many award-winning documentary films for PBS, MOMA and others, specializing in environmental and cultural subjects. As Media Director, Ms. Levin guides the Foundation in its centrally important program of virtual outreach. Mr. Mark Lorence lives in Southern Pines, North Carolina, and serves the Foundation as Corporate Secretary and Chief Legal Advisor. Mr. Lorence is an attorney-at-law with over thirty years of legal and administrative experience with educational institutions, municipalities, businesses and nonprofits, most lately serving as General Counsel and Acting President of Edgecombe College and Senior Vice President of First Citizens Bank in North Carolina. Mr. Lorence has also served as a bar association president, adjunct professor of business law, and frequent guest lecturer to professional organizations. Mr. Michael Lorence lives in San Francisco and Virginia, and serves the Foundation as President and Director. Mr. Lorence is a craftsman, designer and consultant. As a consultant, he has been reading the American founding documents, the works of the American Renaissance and classical literature more largely with leaders for thirty years, serving as a guide to individuals in industry and the professions. He is the creator of the Innermost House conversation as an experimental association of leaders seeking to transcend the boundaries of specialized knowledge through contemplative discourse. Mr. Christopher Nelson lives in Annapolis, Maryland and serves the Foundation as Director. Mr. Nelson is President Emeritus of St. John's College, among the nation's oldest colleges and the leading example of the classical curriculum in America today. He has served as chairman of the National Association of Independent Colleges and Universities, and as founding president of the law firm, Kovar Nelson Brittain Sledz & Morris in Chicago. Mr. Nelson guides the foundation in its centrally important mission of unifying knowledge through the liberal arts as a path to individual integrity. 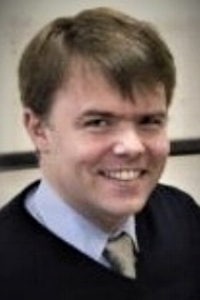 Mr. Sean Skelley lives in Washington DC and serves the Foundation as Director. He is past President of Best Buy International, where he developed the Geek Squad into an icon of the computer age, and is now a principal in winery and technology concerns in Virginia and the Far West. Mr. Skelley has been a regular participant in the Innermost House Conversation for many years, and was involved in the development of its several prototypes. He speaks for the longevity of the project over decades, its durability and adaptability, and its proven capacity to liberate people with an extraordinary ideal. Mr. Bryce Engelbrecht lives in St. Petersburg, Florida, and serves the Foundation as Treasurer. 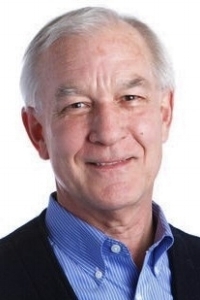 Mr. Engelbrecht began his career at the California Institute of Technology, and is now Senior Vice President of Data Solutions at iQor, an international provider of business solutions. He also serves as General Manager of QeyMetrics, a cloud-based data analytics and performance reporting system. Mr. Engelbrecht understands Innermost House as a geometric map of human nature, locating the free and equal individual as a still point amidst the storm of data that constitutes the modern world. Mr. William Barker lives in Williamsburg, Virginia, and advises the Foundation in all matters concerning Thomas Jefferson. Mr. Barker is associated with Colonial Williamsburg, Monticello and Poplar Forest, where he is the nation's leading scholar-interpreter of America's Founding Father. He is one half professional actor, one half professional scholar, and, if one may say so, a third half Thomas Jefferson himself. He has created a unique career for himself, and embodies a rare and living knowledge of our founding ideals, challenges and possibilities. Dr. Phyllis Cole lives in Pennsylvania and advises the Foundation in the field of American women in Transcendentalism, upon which she is the leading authority. Dr. Cole is Professor Emerita of English, Women's Studies and American Studies at Pennsylvania State University. Among other works, she is author of the beautiful book, Mary Moody Emerson and the Origins of Transcendentalism. She is past president of the Emerson Society and current president of the Margaret Fuller Society. Dr. Cole is a scholar and teacher beloved of many for her wonderful generosity of spirit. Dr. Thomas Constantinesco lives in Paris, France, and advises the Foundation on the study of Ralph Waldo Emerson and American Transcendentalism from a continental European perspective. Dr. Constantinesco is Lecturer on 19th Century American Literature at the University of Paris, has previously taught at Oxford and Yale, and is a director of the Ralph Waldo Emerson Society at Texas A&M University. His research interests lie particularly in the relation of Transcendentalism to the broader field of 19th century literature, philosophy and politics. Ms. Lisa Coscino lives in San Francisco and advises the Foundation on the arts, art curatorship and nonprofit arts administration. 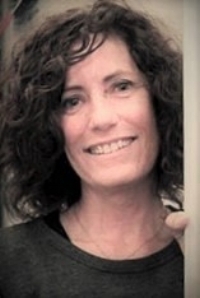 Ms. Coscino is Executive Director of New Museum Los Gatos (NUMU), and past Executive Director of the Museum of Monterey. NUMU is a California museum specializing in innovative curatorial projects, sponsored studio work and art education. Ms. Coscino's gift is for creating dynamic exhibition, marketing and fundraising programs for the arts, specializing in conservation and socially conscious campaigns, blending the worlds of art and commerce. Dr. Olga Davidson lives in Cambridge, Massachusetts, and guides the Foundation in its relation to Persian culture, Muslim civilization and the modern Middle East. Dr. Davidson is Chair and Executive Editor of the Ilex Foundation, promoting study of the humanistic traditions and civilizations of the Mediterranean and Near East. She serves on the faculty of the Institute for the Study of Muslim Societies and Civilizations at Boston University, and is past Chair of Islamic and Middle Eastern Studies at Brandeis. Among her many publications is the beautiful Poet and Hero in the Persian Book of Kings. Ms. Kirsten Dirksen lives in Paris, France, and advises the Foundation on contemporary simplicity and sustainability culture. 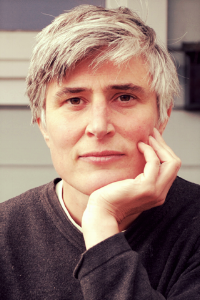 Ms. Dirksen is the owner and editor of Faircompanies, the world's leading source of sustainability filmography and a kind of Whole Earth Catalog for the digital age. Her sensitive and poetic video of the Innermost House prototype introduced our work to over a million viewers, and she has continued to support the work of the Foundation as a faithful friend, advisor, and leading chronicler of sustainability culture. Ms. Karen Duffy lives in Elsberry, Missouri, and advises the Foundation in 19th century material, domestic and social culture. Ms. Duffy is retired as Professor of History at St. Louis Christian College, and is presently Director of the 1820 Shapley Ross House in St. Louis and an FSA Scot fellow of the Society of Antiquaries. As a living historian, she practices and teaches a wide variety of traditional crafts, and pursues original research on the confluence of European, African-American, and American Indian cultures. To her, Innermost House represents an ideal of culturally inclusive solitude. Dr. James Engell lives in Cambridge, Massachusetts, and advises the foundation in the broad field of the Enlightenment, 18th and 19th century literature, and the environment. Dr. Engell is Gurney Professor of English and Professor of Comparative Literature at Harvard University, and a faculty associate of the Harvard University Center for the Environment. He has published many books and professional articles, including, most recently, a beautiful edition of Wordsworth's Prelude. Dr. Engell is as much beloved for his personal humanity as he is admired for his depth and breadth of learning. 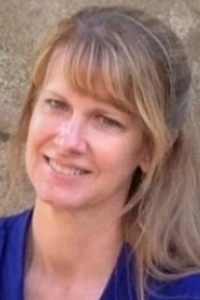 Ms. Joanna Clyde Findley lives in Sausalito, California, and advises the Foundation at the academic and clinical crossroads of psychology, art and neuroscience. Ms. Findlay is a practicing psychotherapist and Adjunct Professor of Art at the California Institute of Integral Studies. She publishes widely on the neurobiology of art, and maintains an active practice in art therapy, with clients from preschool age to mature adults. Joanna understands Innermost House as living myth, and its program of outreach as culturally therapeutic at a fundamental level of public experience. Dr. Charles Fracchia lives in San Francisco and advises the Foundation on San Francisco and California history. Dr. Fracchia has published many books on the history of San Francisco, is the Founder and Chairman of the San Francisco Historical Society and Museum, and is a Fellow of the California Historical Society. He has taught at the City College of San Francisco, San Francisco State and the University of San Francisco. Dr. Fracchia understands the work of the foundation as another chapter in California's search for the ideal. Mr. Michael Frederick lives in Concord, Massachusetts, and advises the Foundation in a variety of matters concerning Henry David Thoreau, Walden, and literary nonprofit work. Mr. Frederick is the Executive Director of the Thoreau Society, the oldest and largest author society in America. He was educated at Harvard University and the Kellogg School of Management at Northwestern. He has been a faithful friend and champion of Innermost House in scholarly circles for years, and continues to guide the foundation in matters of academic and cultural outreach. Mr. Kent Griswold lives in Bend, Oregon, and advises the Foundation on all aspects of the modern small house movement. Mr. Griswold is the owner and editor of the Tiny House Blog, the world's leading source of information on simple living in small spaces. He was the first publisher to solicit an article about Innermost House, which was subsequently read by over a million people in a hundred nations of the world. He has continued to support the Foundation in its mission of outreach to a wide audience with a message of simplicity, small spaces and mature spirituality. Dr. Robert Gross lives in Concord, Massachusetts, and advises the Foundation in the historical context of American Transcendentalism and the Republicanism of the founding generation. Dr. Gross is Draper Professor of Early American History at the University of Connecticut and past Director of American Studies at the College of William & Mary. 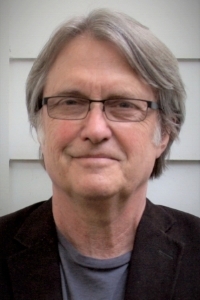 He is author of the Bancroft Prize-winning classic, The Minutemen and their World, and its forthcoming sequel, The Transcendentalists and their World, as well as publishing widely to professional and general audiences. Rev. 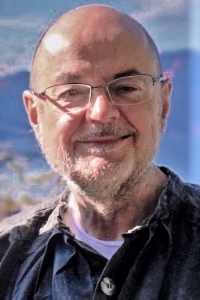 Ulrich Haas lives in Vörstetten, near Freiburg, Germany, and advises the Foundation from the perspective of classical Zen practice and the tradition of Japanese Tea Ceremony. Rev. Haas (Sôshiki Seizen) is an ordained Japanese Zen priest and founder of the Rinzai Zen Temple Gen Rin Zen Kutsu in Germany. He is among Europe's leading Tea Masters, representing the Urasenke Tankokai Federation of Kyoto to cultural organizations and universities on several continents. To Rev. Haas, Innermost House is a modern incarnation of Hōjōki, the famous "Ten Foot Square Hut" of medieval Japan. Mr. Allen Harding lives in New York City and serves as special project liaison between the Foundation and land conservation interests. Mr. Harding is a director and patron of the Thoreau Society, and son and heir to the literary legacy of Walter Harding, the 20th century's leading Thoreau scholar and founder of the Thoreau Society seventy five years ago. 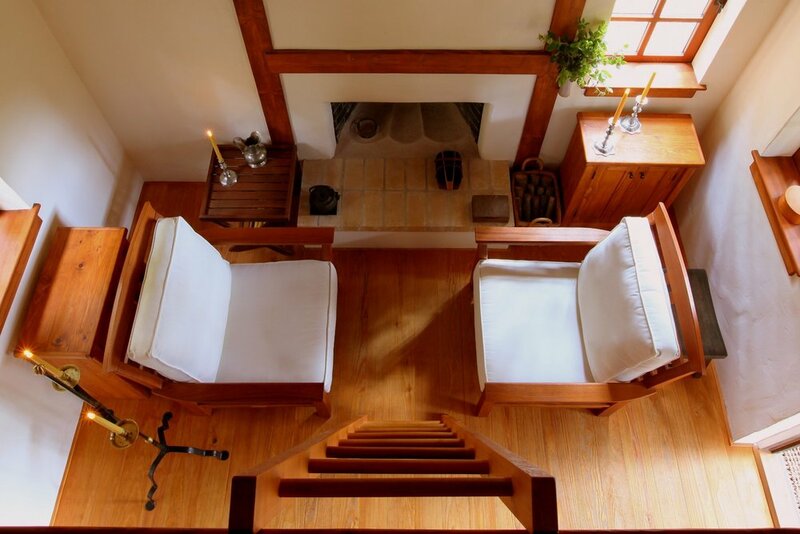 To Mr. Harding's generous conception, Innermost House is a kind of "Walden West," gathering together the several loci of American Transcendentalism and newly animating the inspiration of Henry David Thoreau for modern times. Dr. Jeffrey Klee lives in Williamsburg, Virginia and advises the Foundation from the perspective of early American architectural history. Dr. Klee is the Shirley and Richard Roberts Architectural Historian at the Colonial Williamsburg Foundation, where he lectures and writes on vernacular architecture, pursues field research and develops designs for the reconstruction of historic buildings. He also serves as lecturer at the College of William & Mary, as executive and editorial board member of the Vernacular Architecture Forum, and as Editor in Chief with the Society of Architectural Historians. Ms. Diana Lorence lives in Williamsburg, Virginia and serves the Foundation as co-founder, curator, writer, speaker and photographer. Since her introduction by the Thoreau Society at Walden Pond in Concord, Massachusetts, Ms. Lorence has appeared across the country as a speaker on the simple life in the woods, and her writings and photographs have gained an audience for the Foundation in every state in the nation and in nearly every nation of the world, reaching hundreds of thousands of people with a message of simplicity, spirituality and soul-reliance. Ms. Laura Mays lives in Fort Bragg, California and advises the foundation with her knowledge and passion for the art of fine furniture making. Ms. Mays is Program Director of The Krenov School of Fine Woodworking at Mendocino College, the leading creative woodworking program in the country. She holds a degree in architecture from University College Dublin, and is principal in the design firm of Yaffe Mays. She is also founding president of The Krenov Foundation, a non-profit organization whose mission is to teach and support the craft of fine woodworking. Mr. Todd McFadden lives in Wilmington, North Carolina and guides the Foundation toward its ideal of cultural unity in authentic diversity. Mr. McFadden is Founder and President of Higher Ed Diversity Consulting Group, representing decades of leadership in pioneering diversity among American institutions of higher learning. He has formerly served as Director of the Upperman African American Cultural Center at the University of North Carolina, Director of the Center for Black Culture and Research at the University of West Virginia, and Director of the Africana Center at Tufts University. Dr. Gregory Nagy lives in Cambridge, Massachusetts, and guides the foundation in its relation to the Greek heroic tradition. Dr. Nagy is Francis Jones Professor of Classical Greek Literature and Professor of Comparative Literature at Harvard University, and Director of the Harvard Center for Hellenic Studies in Washington DC. He has also served as Chair of the Harvard University Classics Department and as President of the American Philological Association. Dr. Nagy is among Harvard's most beloved and popular teachers, and is this generation's leading authority on Homeric literature. Mr. Edwin Pease lives in Williamsburg, Virginia and advises the Foundation at the meeting place of architectural theory, traditional building design and modern construction methods. Mr. Pease is co-founder of Stemann Pease Architecture and Visiting Professor in the Department of Art and Art History at the College of William & Mary. The winner of many design awards, Mr. Pease's work ranges from civic buildings and museums to educational and religious institutions to residential structures, comprehending the whole spectrum from modern works to historical reconstruction. Dr. Phillip Pirages lives in McMinnville, Oregon and advises the foundation across the broad spectrum of fine and period books. Dr. Pirages is among the world's leading rare booksellers, whose book catalogs alone are collector's items. He specializes in providing medieval illuminated manuscripts, incunabula, fine bindings, private press books, fore-edge paintings, botanicals, and printed leaves to museums, universities and major private collectors. Among other volumes over thirty years, Dr. Pirages provided the 1632 King James Folio Bible that forms the core of the Innermost House Library. Dr. Nikita Pokrovsky lives in Moscow, Russia, and advises the Foundation in its relation to the perennial idea of simple living in general, and to international Thoreau studies in particular. Dr. Pokrovsky is Chairman of General Sociology at the Higher School of Economics University in Moscow, President of the Society of Professional Sociologists, and Russia's leading scholar of Henry David Thoreau and American Transcendentalism. He is also creator of a parallel experiment in Thoreavian simplicity with a Walden replica cabin and writer's retreat in the forests of Siberia. Mr. Shax Riegler lives in New York City and guides the Foundation in the world of professional arts publication. Mr. Riegler is Executive Editor at Architectural Digest magazine, and publishes widely in the field of design, travel and food, and collecting. Before AD he was executive editor of House Beautiful, and has held editorial positions at House & Garden, Martha Stewart Living, Travel & Leisure, and Vogue. In 2011, Mr. Riegler published the first article about the Innermost House project to appear in a national magazine. Ms. Zahraa Saiyed lives in Fremont, California, and guides the Foundation in membership formation. Ms. Saiyed is co-founder and principal of Scyma Design & Consulting, and Earthquake Risk Reduction Consultant to the City of San Francisco, focusing on creating resilient, sustainable communities and built environments. She holds degrees in architecture and engineering from MIT. An Indian-Pakistani-American Muslim, her deep interest in the transcendentalism represented by the Foundation lies in its capacity to unify a cosmopolitan plurality of races, religions, ages and genders. Rev. Dr. James Sherblom lives in Concord, Massachusetts, and guides the foundation across the chasm between mysticism and practical life. Rev. Sherblom was called to ministry in midlife, and served as senior minister at First Parish in Brookline for eleven years. 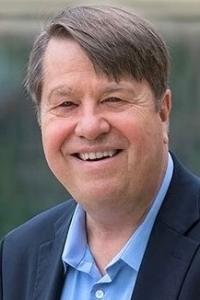 Raised in humble circumstances, he earned scholarships to Yale and Harvard, going on to serve as founding president of the Massachusetts Biotechnology Council, as CEO of TSI Corporation, and as CFO of Genzyme Corporation. Now, as an author and speaker, Rev. Sherblom serves as a friend “to all those who would live in the spirit." Dr. David E. Shi lives in the highlands of North Carolina and advises the Foundation on the simple life in American history. Dr. Shi is President Emeritus of Furman University, where he founded the Shi Center for Sustainability. He is among America's leading university presidents, historians and environmentalists, and is past chairman of the National Association of Independent Colleges and Universities. His many books include the best-selling America: A Narrative History and the classic, The Simple Life: Plain Living and High Thinking in American Culture, both guiding texts for the Foundation. Mr. Daniel Springer lives in San Francisco and advises the Foundation in the broad sphere of prudential relations, particularly in forming its message to the business and technology communities. Mr. Springer is Chief Executive Officer of Docusign, the world leader in the field of electronic signature technology. He also serves as Chairman of the Board of Ansira, a data-driven marketing agency, and of Heighten, a computer software firm, as well as Chief Operating Partner of Advent International. In addition, Mr. Springer serves on the Board of Trustees of the Urban School of San Francisco. Dr. John Stauffer lives in Cambridge, Massachusetts and advises the Foundation on Transcendentalism, photographic art, and the African American experience. Dr. Stauffer is Professor of English and American Literature, American Studies and African American Studies at Harvard University. He is a leading authority on 19th century American culture, antislavery and the Civil War era, and on the art of photography. Dr. Stauffer is the author of nineteen books and many articles, including the stunning biography, Giants: The Parallel Lives of Frederick Douglass and Abraham Lincoln. Mr. Robert Stephens lives in Sonoma, California, and advises the Foundation in matters of authenticity, branding, and virtual outreach. He is Founder of the Geek Squad, a renegade concept he built into an international icon in partnership with Best Buy. His originality and insight make him much in demand as an inspiring speaker across the country, and as a consultant, particularly to promising new ventures. Mr. Stephen's passion for the authentic touches everything he does, and since 2008 he has understood Innermost House as a touchstone of living authenticity. Dr. William Swagerty lives in Stockton, California, and represents the literary and environmental legacy of John Muir to the Foundation. Dr. Swagerty is Professor of History and Co-Director of the John Muir Center at the University of the Pacific. He has served as visiting scientist at the National Museum of Natural History and fellow at the Ford Foundation and the National Park Service, and is currently a Fulbright Senior Specialist. His specialties include John Muir and the native peoples, the prehistory of North America, and the economic dynamics of human subsistence. Dr. Roger Thompson lives in New York and advises the Foundation in its association with academic, literary and artistic institutions. Dr. Thompson is Associate Professor and Program Chair of Writing and Rhetoric at the State University of New York, Stony Brook. He also serves as Program Chair of the Ralph Waldo Emerson Society, and as Senior Editor for Don't Take Pictures, a leading professional magazine of fine art photography. Dr. Thompson understands the work of the Foundation as a woodland experiment in the larger tradition of Humane Letters. Ms. Yuiko Tokugawa lives in Kyoto, Japan and advises the Foundation from her native perspective of classical Japanese culture. Ms. Tokugawa began her study of the ancient art of Chanoyu in Japan when she was eight years old. She later continued her studies in Europe with the leading tea master, Rev. Ulrich Haas, before returning to Kyoto to enter the Urasenke lineage of practice, descended directly from Sen no Rikyu in the 16th century. To Ms. Tokugawa, Innermost House represents the Buddhist ideal of nothingness or "Mu," which to her means, "to meet the heart of Buddha." Brother George Van Grieken, FSC lives in Napa, California, and advises the foundation on monastic culture and religious and secular spirituality. Br. George is President Emeritus of St. Joseph's International Schools, Singapore, and Director of St. Mary's College and the Lasallian schools the United States. Eight years ago, he was among the first to recognize Innermost House as an underivative, original American expression of the monastic impulse, and guides the Foundation from his perspective as a professional monastic and representative of one of the world's great spiritual traditions. Dr. William White lives in Williamsburg, Virginia and advises the Foundation in the development and use of educational media. Dr. White is a Visiting Scholar in American History at Christopher Newport University, and retired as Royce R. and Kathryn M. Baker Vice President of Productions, Publications and Learning Ventures at the Colonial Williamsburg Foundation, where he headed website production, journal and book publishing, photography, audio and video production, the national teacher initiative, the Emmy-winning electronic field trip series, and all activities for K-16 classrooms. Dr. Robert C. Wilburn lives in Washington DC and advises the Foundation across the whole field of cultural philanthropy. Dr. Wilburn has served as President and CEO of the National Medal of Honor Museum Foundation, director of Carnegie Mellon's Heinz College, CEO of the Gettysburg Foundation, the Colonial Williamsburg Foundation, the Carnegie Institute, and Indiana University of Pennsylvania. He is among the nation's leading chief executives of cultural nonprofit institutions, with uniquely broad experience and special expertise in large capital programs of institutional renewal. Ms. Terry Tempest Williams lives in Utah and guides the foundation with her lifelong commitment to healing the meeting places of nature, culture and spirit. Ms. Williams is presently Writer-in-Residence at the Harvard Divinity School. She is the author of many books, weaving together strands of autobiography, poetry, ecology, and wilderness. Among dozens of awards, she has been honored with the Distinguished Achievement Award from the Western American Literature Association, the Robert Marshall Award from the Wilderness Society, and the John Muir Award from the Sierra Club. Mr. Garland Wood lives in Williamsburg, Virginia, and serves the Foundation as Special Advisor in Traditional Building Crafts. He is Master Carpenter in Historic Trades at the Colonial Williamsburg Foundation, the world's largest living history museum. Mr. Wood holds degrees from the University of Virginia and the College of William & Mary, but maintains that his real education began when he apprenticed under Master Woodwright Roy Underhill more than thirty years ago. Today he trains and leads a crew of traditional carpenters and joiners in the country's preeminent program of historical reconstruction. Mr. Clint Wilson lives in Santa Rosa, California and serves the Foundation as Director. Mr. Wilson is president and principal of TRIBECA Properties, and past principal of Coldwell Banker North Properties. A civic leader in the California Wine Country, he has served as president of the Sonoma County Alliance, the Redwood Empire Boy Scouts of America, and on many boards. He was instrumental in the creation of the Sonoma County Open Space District, preserving over 100,000 acres of undeveloped land. Mr. Wilson is a longtime host of the Innermost House Conversation. Mr. Robert Yagid lives in Connecticut and serves the Foundation as Chief Building Advisor. He is Editor in Chief of Fine Homebuilding Magazine and Green Building Advisor, the leading journals on fine building craft and environmentally responsible construction. Mr. Yagid champions the traditional building trades as repositories of a culturally important but largely lost knowledge, and as a source of responsible employment and practical wisdom. To him, Innermost House represents a coming together of the trade crafts to a high purpose, for the benefit of all.